The University of Bucharest will confer, on Saturday, the title of Doctor Honoris Causa to His Beatitude the Patriarch of Jerusalem, Theophilos III, during a ceremony that will take place in the Constantin Stoicescu hall of the Palace of the Law School. According to the Laudatio, Patriarch Theophilos had an important contribution to reforming the Middle East Council of Churches and is still a president of the Orthodox family within the MECC. “The efforts of His Beatitude are focused upon promoting peace and understanding between peoples, efforts solidified by the participation in numerous international conferences such as the Council of Religious Institutions of the Holy Land or The C-1 World Dialogue. The University of Bucharest is especially thankful to His Beatitude Patriarch Theophilos for his support to the development of the Byzantine Studies domain of the institution. The impressive Library of the Greek Orthodox Patriarchate of Jerusalem hosts rare books and manuscripts, that are carefully and professionally tended to, representing a real treasure for a true researcher. 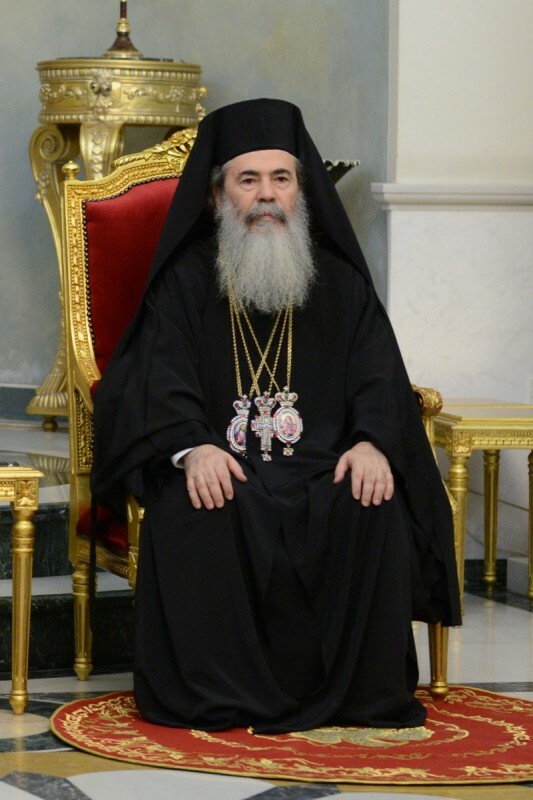 For all this warm support, the Senate of the University of Bucharest is more than honored to grant the title of Doctor Honoris Causa of the University of Bucharest to His Beatitude Theophilos III, Patriarch of the Holy City of Jerusalem and all Palestine, Syria, beyond the Jordan River, Cana of Galilee, and Holy Zion”, the Laudatio shows.